Smart Interior Design Clever Ways to Maximise Your Space! Many people are choosing to modify their homes rather than move to bigger ones. There are lots of ways to increase the amount of available space in your house. Find out how you can gain extra room without moving. With the current housing market struggling, many people are finding they cannot afford to move to a bigger home when they outgrow their current one. Luckily there are several options available to help you create additional space. Have a look at some of these clever ideas to make the most of your home. 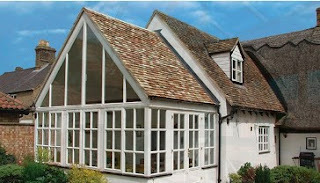 Cheaper than building an extension, adding a conservatory to your home will give you valuable extra room. Small conservatories are often attached to a living room or kitchen and can be used for a variety of purposes. Create an elegant dining area, a peaceful study or a sun-filled sitting room. You can even store the children's toys here and make them a separate playroom, helping to minimise clutter within the house. If you have the scope, consider building an orangery and give yourself an amazing entertaining space, or construct a wooden summerhouse in your garden to make a useful home office. The great beauty of a conservatory is that it is handy for so much more than growing plants you literally have a blank interior design canvas to use as you wish. If you are unable to add any space to the side of your home, think about going up. Whether you live in a bungalow or a multi-storey building, a loft conversion can provide you with a great deal of extra room. It is a significant undertaking and one which will require not only planning permission but accurate architectural drawings to be submitted. However, choosing this option will give you additional space without affecting the basic footprint of your property. Remember that you will need to allow space for access, so you may have to sacrifice some of your existing space for the base of a staircase. The resulting conversion, however, will add significant square footage to your home. If you are unable to make changes to the fundamental interior design of your home, you may need to think a little more creatively. Evaluate your space carefully, really checking whether each room is being used as efficiently as possible. A fresh perspective can reveal a few welcome surprises. Extra space in the kitchen is always useful, so try to create additional storage here. Many people have an unused area above their cabinets, so look to see if that can be put to good use. Put up storage racks in your garage or utility room to safely stow away any clutter. Could you board off some space under the eaves of your roof? And what about under the stairs? You could put in an extra cupboard or even a downstairs lavatory. Don't move, modify! If you feel you're running out of room, use one of these innovative ideas to create more space in your home.